Joanna Champagne presented on Therapeutic Foster Care to Auburn Rotarians on July 13, 2016. Champagne discussed the need for therapeutic foster care in surrounding counties along with the goals of the program. 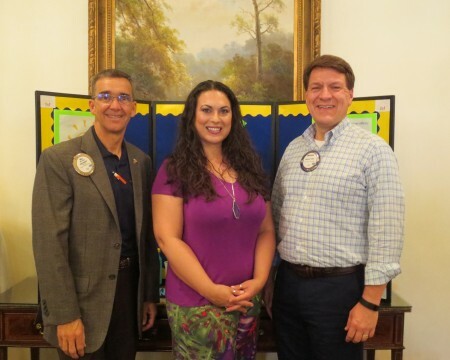 Pictured are: Bill Hutto, Auburn Rotarian (left); Joanna Champagne (center); and Michael Tullier, President Auburn Rotary Club (right).